Buddy Boy on York has another loyal customer. $69 out the door for an ounce of 25% White 99?!?!? Crazy deal. Best live resin around too. 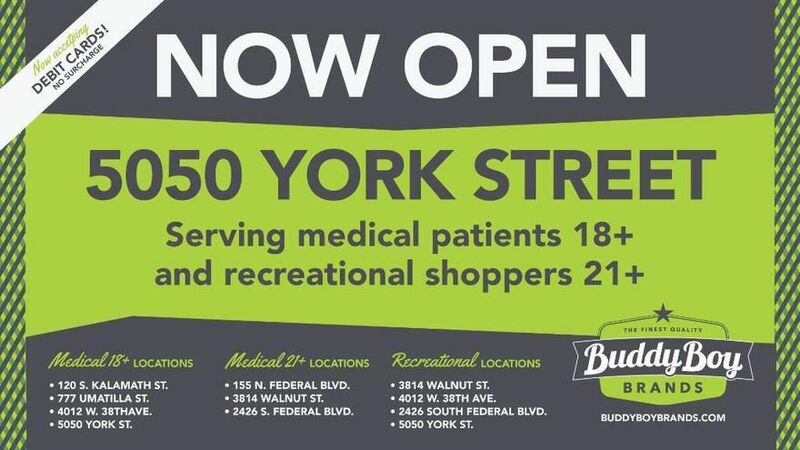 Great budtenders that are knowledgeable and friendly. I walked out of there and did a happy dance. Satisfied customer for sure. Like Arnold, I will be back. Buddy Boy Brands has many location so I associated them with being franchised or more interested in the money aspect vs actually providing good service. Well I was completely off. I visit the York and Umatilla location and absolutely love what they're about. Their prices are affordable and their bud is FIRE. They really hook it up wether you're a member or not. The budtenders are really chill and helpful. I know some people really go in there and ask tons of questions, but I don't so I can't speak on their knowledge. All in all I'm really happy with Buddy Boy Brands.